WHEN you hear “tequila” what’s the first thing that comes to mind? Maybe that long-ago college party where you downed countless shots of Cuervo between licks of salt and squirts of lime? Or that killer hangover after indulging in one too many frozen margaritas on spring break in Cancun? Tequila’s reputation has long suffered in the United States, where it’s mainly been thought of as a way to get as drunk as possible as quickly as possible. That’s changing though, as premium tequilas have made their way across the border. 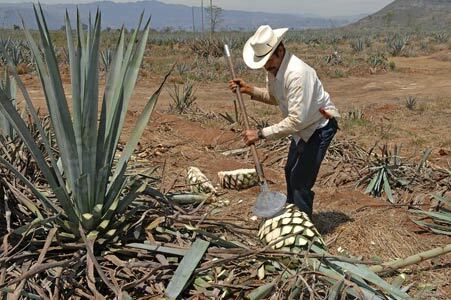 High-end brands such as Herradura, Patron, and Don Julio have, in the last decade, introduced the American market to the terms blanco, reposado, and anejo — categories of tequila defined by their aging processes. But other than calling for a top-shelf margarita with Patron Silver, most folks have no idea what tequila is: that it’s produced from a specific type of agave plant, that it was the first distilled spirit in the Americas (in the 1600s), that it can be sipped and savored as you would a fine single-malt scotch.